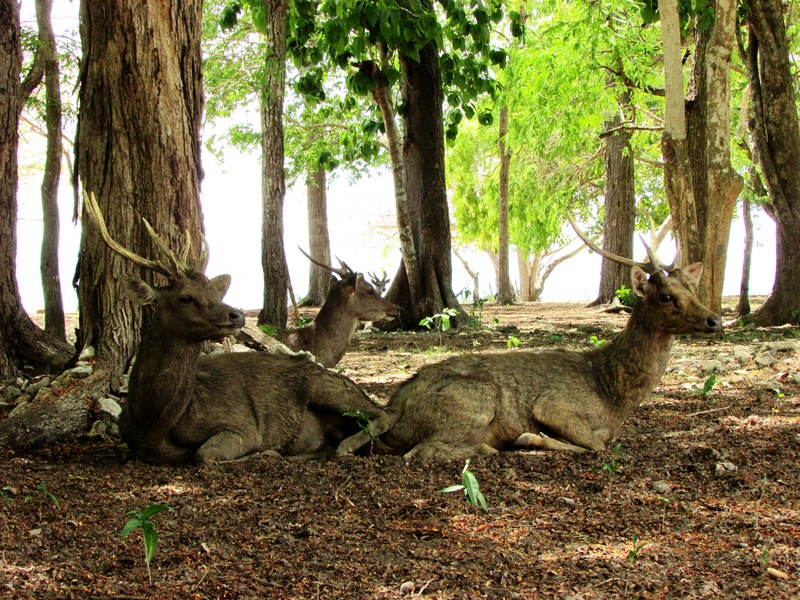 I have had an infatuation with animals since I was a little girl—I blame having been raised around more calves and chicks than human children—and here in Indonesia I am able to experience wildlife that is sometimes similar, but often vastly different from what I am accustomed to at home. 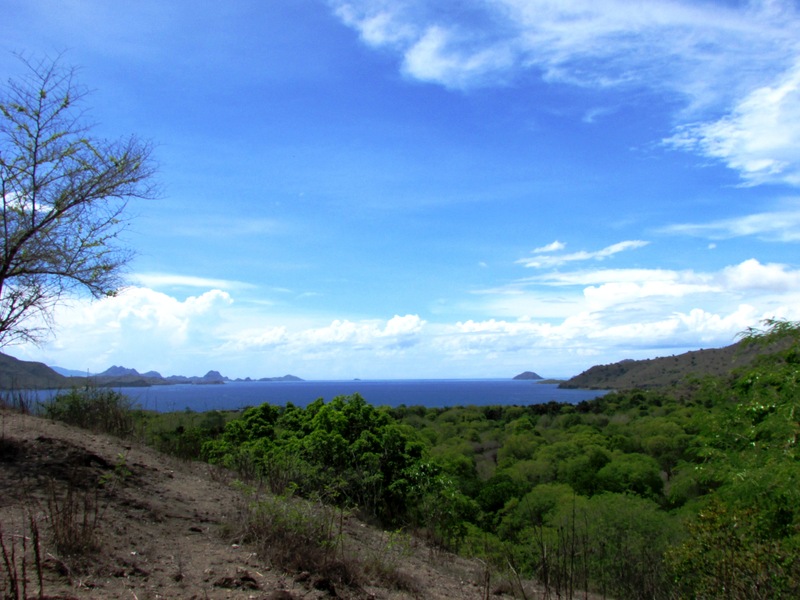 During my holiday travel, I was able realize a childhood dream with a visit to Komodo Island, home of the famous Komodo Dragon. The Komodo Dragon (varanus komodoensis), or Ora in the native language, is the largest reptile in the world, and it currently only lives on a handful of islands in the NTT (Nusa Tengarra Timur, or East Southeast Islands) region of Indonesia, the largest of which takes its name from these incredible creatures. 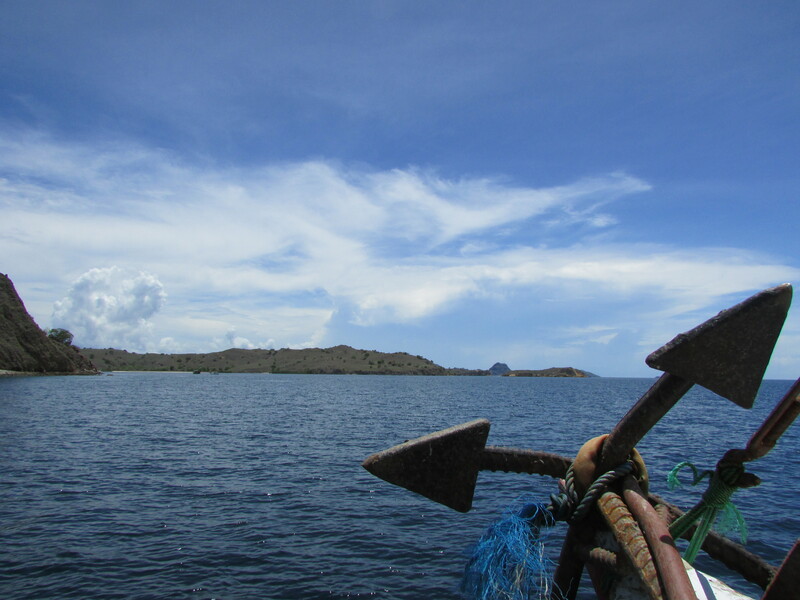 Getting to Komodo Island (Pulau Komodo) required a four hour boat trip from the small port town of Labuan Bajo, on the west coast of Flores, through sparkling greenish-blue water and past innumerable small islands that teased my curiosity with their alternatively lush and barren landscapes. Tourists are not allowed to hike in Komodo without a guide, so we put our lives in the hands of a friendly ­bapak armed only with a Y-shaped stick, trusting that we would not become an international delicacy for any dragons. I was simultaneously thrilled and terrified to be there, a combination of feelings that was only heightened when our guide pointed out the first Komodo dragon resting in the shady recesses below the very building where we had bought our entrance tickets to the park. 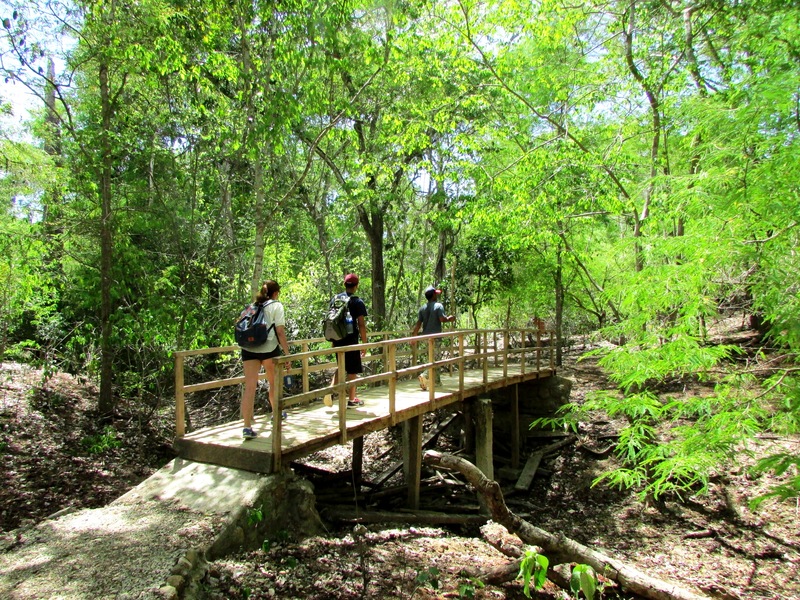 As we hiked through the arid forest, that according to the signs posted along the trail was called Hutan Asam (Sour Jungle), a name which it acquired from one of the trees which is prevalent in the area, we came across the most impressive Komodo we would see all day. Our guide estimated that he was at least three meters long, and said that he was probably somewhere between forty and fifty years old. 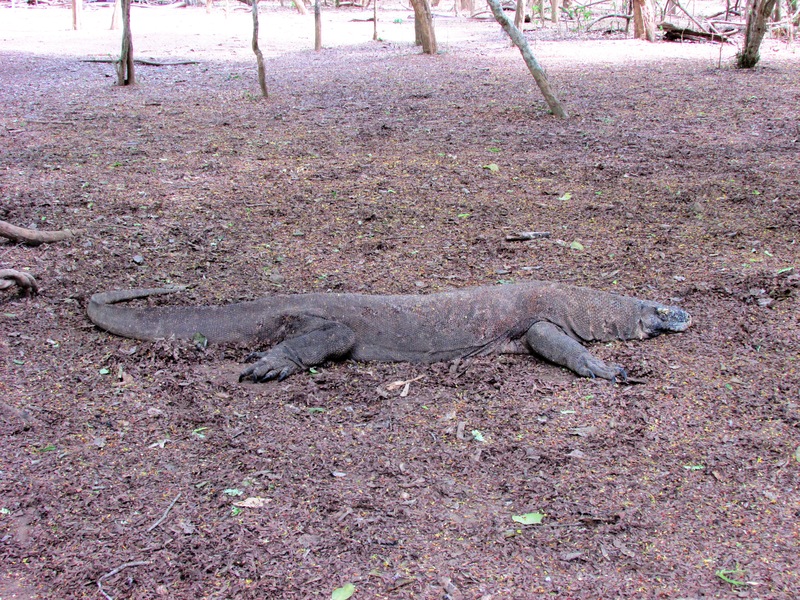 (As a side note, all of the information I have found online claims that Komodo Dragons generally peak at thirty years of age, but since I am not a reptilian expert, I will make no claims as to whether our guide was exaggerating.) Because we were on the island during siang (midday), all the dragons we came across were resting, and at first I thought this giant had passed away. But when its eyes lazily peeled open and I noted the slightest of movement in its chest, it became clear that we were standing not ten feet from a very alive and very deadly animal. Komodo Dragons are far more likely to eat carrion than bring down live prey, but they will hunt using strategic methods such as waiting patiently in shaded areas for unsuspecting deer to stumble upon them. Bacteria grow rapidly in the Komodo’s mouth, causing deadly infections in animals unfortunate enough to be bitten. Komodo Dragons have killed humans in the past, and our guide told us a few horror stories while we hiked along the “Medium Trail.” They included a German Tourist who was left behind by his group and all that was found of him was his sunglasses and camera, and a local boy who was bitten while in the forest and did not live long enough for his friends to carry him to the beach and get help. When we came across a dragon which was slightly more alert than the others, I found myself thankful for the zoom function on my camera, because I could not bring myself to venture as close to the giant lizard as our guide invited us to. 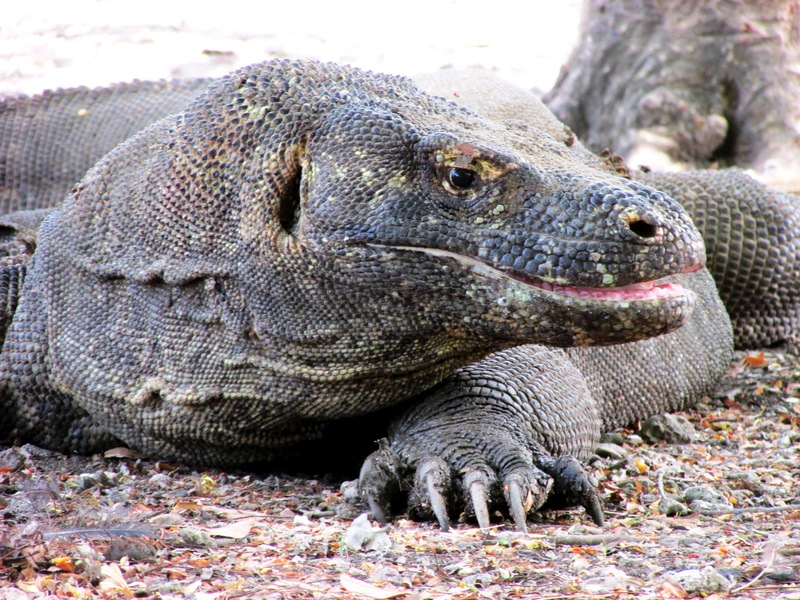 When I told students and teachers at my school that I planned to go to Komodo Island as part of my holiday travels, most of them shuddered and called me either gila (crazy) or berani (brave). After seeing these colossal lizards that look more like an artist’s conception of prehistoric beasts than anything I would expect to find on earth, I can understand their fear. Still, I would not have traded the opportunity to go to Komodo Island for anything. Sometimes, I have to take a moment to remind myself that the privileged life I am currently leading is real, and not just an extended wishful dream. Finding myself in the presence of some of the most impressive and fascinating creatures Earth has to offer was most definitely one of those moments. April 27, 2015 in Culture, Photography.